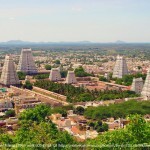 A stop at Tiruvannamalai is a mystical moment. 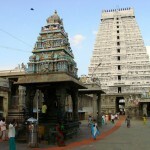 The town takes its name from Annamalaiyar temple around which it grew, and Shiva worship is a key activity for the town. 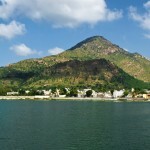 For Hindus, Arunachala Hill overlooking the town represents Shiva himself and is an object of special devotion. The town is full of hermitages and ashrams that bear witness to its powerful spiritual charge. A legend tells us that one day Shiva’s consort Parvati put her hands over his eyes, for fun. It lasted a mere fraction of a second in godly terms, but it meant that the earth was shrouded in darkness for years. Parvati had to perform many austerities to regain Shiva’s confidence. 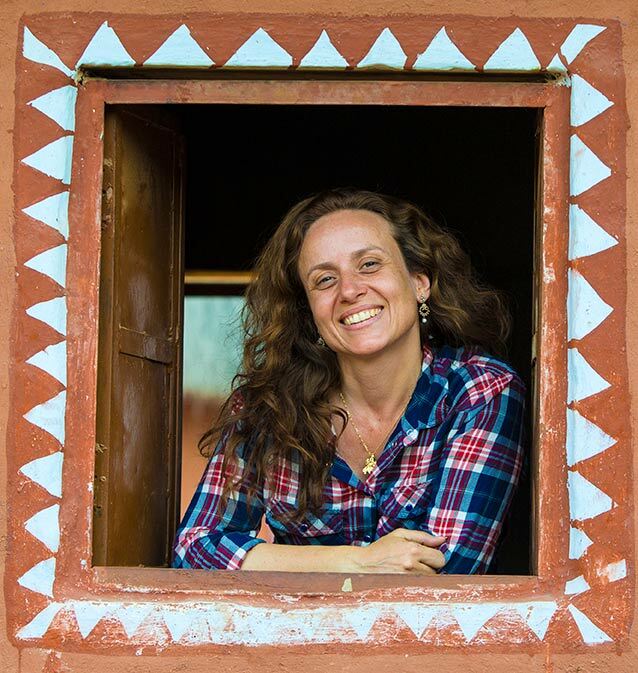 She started her austerities in the Himalayas and finished them in the south, on Arunachala Hill. And there Shiva appeared in a luminous column, and light was restored to the world. Shiva merged with Parvati to form Ardhanarishvara, a being who is half male, half female, and who has lived in the hill ever since. The Siva Mahapurana, an ancient mythological and religious scripture, tells of a quarrel between Brahma the creator and Vishnu the preserver. Each claimed to be the Supreme Lord and a terrible battle ensued, plunging the universe in confusion and causing great distress to living creatures. 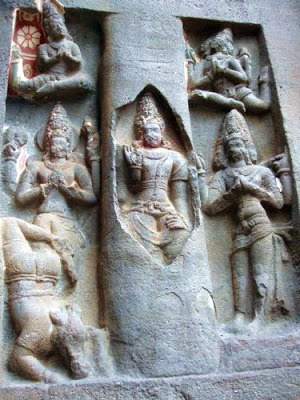 Shiva was moved by compassion and manifested in a blazing pillar of light, challenging Brahma and Vishnu to find the base and top of the pillar. Brahma took the form of a sign and vanished into the sky, hoping to see the top of the pillar. Vishnu took the form of a boar and dug down into the earth to find its base. Neither could find what they were looking for. They came back exhausted and disoriented. At that moment, the central part of the pillar opened up and Shiva was revealed in all his glory. Brahma and Vishnu realised they were wrong and acknowledged Shiva as the Supreme Being. 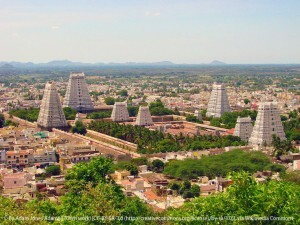 Shiva changed the blinding light of the column into a sacred mountain called Arunachala. Every year on the tenth day of the Karthikai Deepam festival a sacred fire is lit in Arunachaleswarar temple. 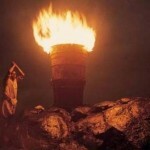 Devotees fill pots with embers from the fire and carry them to the top of Arunachala Hill. 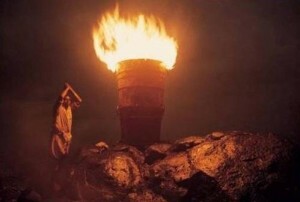 There, at sunset, an enormous barrel containing hundreds of litres of ghee (clarified butter) is set alight. The fire on Arunachala can be seen for miles around as a reminder of when Shiva appeared as a column of light. The day before each full moon, pilgrims perform Giri Valam, a circumambulation round the foot of the hill. 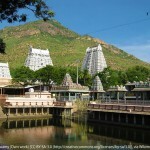 Arunachaleswarar (or Annamalaiyar) temple, at the foot of Arunachala Hill, is dedicated to Shiva. It is an important place of pilgrimage because it is a Pancha Bhoota Stala, i.e. a place associated with one of the five elements of nature. As Shiva is believed to have appeared in this place as a column of light, he is represented here by a fire lingam or Agni Lingam. Annamalaiyar symbolises duty, virtue, self-sacrifice and liberation by means of ascetic renunciation. Another sanctum houses Parvati, Shiva’s consort, in the form of Unnamulai Amman. This Shiva temple is also considered an Aathara Stala, i.e. a place considered to personify one of the Tantric chakras. This one is associated with the Manipooraga chakra which symbolises spiritual ignorance. The temple is one of the largest in India, covering six hectares. The initial structure dates from the 9th-century Chola dynasty. Later extensions are attributed to the Vijayanagar Sangama dynasty of the 14th and 15th centuries and the Saluva and Tuluva dynasties of the 15th and 16th centuries. 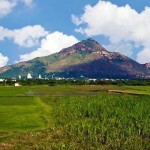 Arunachala Hill, overlooking the town, is a very holy place for Hindus. 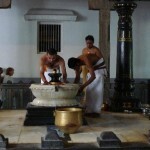 It is one of the five principal Shaivite (shiva cult) holy places in South India. Hindus regard it as Adi-Lingam, the “first lingam”, the first manifestation of Shiva. 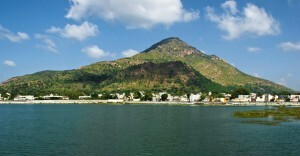 The simple fact or seeing or even thinking of Arunachala is said to be enough to neutralise all karma. It is also said that this hill is the centre of the world and that Lord Shiva lives there with his consort Parvati. As Arunachala is regarded as Lord Shiva in person, the circumambulation round it, called Giri Pradakshina in Sanskrit and Giri Valam in Tamil, is considered to be of great spiritual benefit. He set up an ashram at the foot of Arunachala Hill, west of Tiruvannamalai, and lived there until his death in 1950. 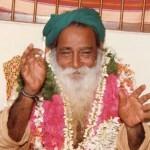 His ashram and samadhi continue to attract devotees from all over the world. Yogi Ramsuratkumar, born in 1918 on the shores of the Ganges, left home at a very young age to devote himself to the search for spiritual experience. His teachers were Sri Aurobindo and later Ramana Maharshi and Swami Ramdas. He initiated many disciples into the practice of constantly reciting the divine name of Rama. 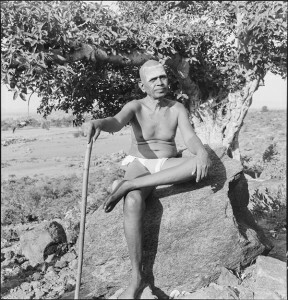 In 1959 he arrived in Tiruvannamalai as a “holy beggar” and an ashram was set up there in 1993.